Planning your next fly fishing adventure? Take the advice from a local fisherman and you will not be disappointed! Learn about which lakes are best to fish on and what species you are likely to catch in this guest blog post from Dan Shepler. 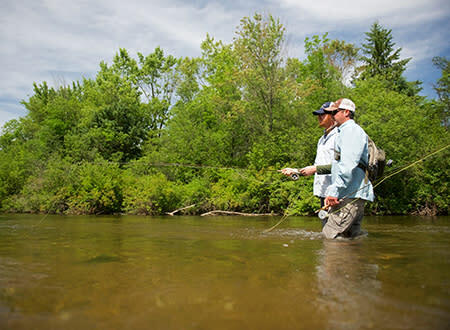 Traverse City and the surrounding area offers incredible fly fishing opportunities, and with all the rivers, lakes, and streams in the region, there is a wide variety of species that you can go after. There are plenty of great fishing memories waiting for you and the natural beauty of the area is unforgettable! Let&apos;s get started on the Boardman River. 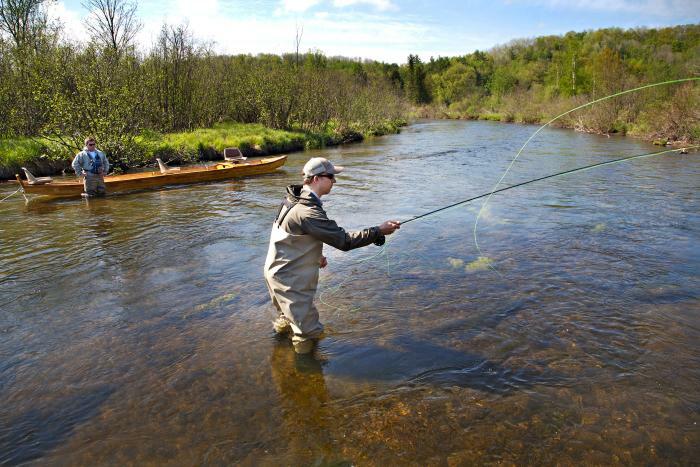 The Boardman River, which flows into West Grand Traverse Bay in downtown Traverse City, is an exceptional river for trout fishing in its upper reaches. It hosts wild brook trout and large brown trout, as well as a decent run of steelhead and salmon. If you are looking for a great weekend trout fishing trip in the area, some excellent opportunities can be found just southeast of town on the upper Boardman, in the area around the historic Schecks Campground. In the summer months, you can find fish rising during the morning and evening hatches, as well as feeding on hoppers in the middle of the day. 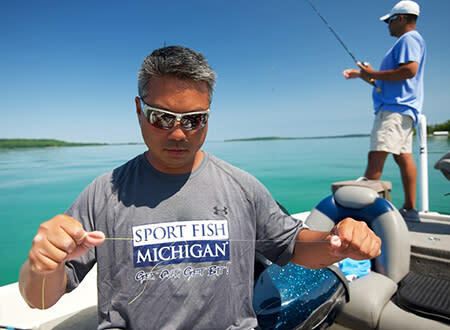 On the area’s many inland lakes, you can cast a fly for hungry bass, bluegill, and pike. There is also excellent fishing to be found on the larger lakes like Leelanau, Long, Boardman, Elk, Torch, Glen, and Crystal. However, the smaller lakes in the area are actually the best for fishing! Some of my favorites include Arbutus, Spider, Duck, Green and Fife Lakes. 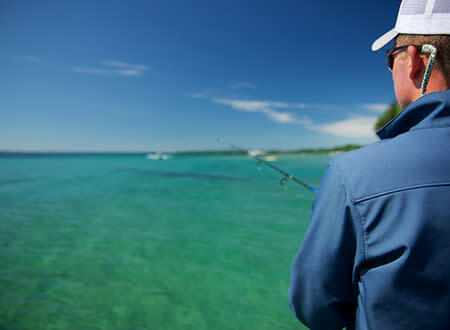 The east and west arms of Grand Traverse Bay are hard to miss when you visit Traverse City, and they have plenty of lake trout, smallmouth bass, and carp to pursue with a fly rod. These are just a few of the main game species in the area that you are likely to catch. There are also plenty of smallmouth bass to catch as you are wading the flats and they can be quite willing to respond to a fly. All along the Old Mission Peninsula, there are clearwater flats where big feisty carp can be found. If you have a boat, your access is almost unlimited, but even if you are on foot, the water around the Old Mission Lighthouse offers public access. I hope you find these fishing tips and location suggestions useful. Remember to snap a photo with your catch and be sure to take in the entire experience! It isn&apos;t always about the fish, but it is about the people, the places, and the memories you make while out on the water. Fly fishing guide and outdoor photographer Dan Shepler is a Traverse City native. He is president of Alive 'n Free Creative, a digital content and marketing firm that provides creative marketing strategies and high quality digital content for companies in the outdoor industry -- especially fly fishing companies that have a desire to stand out among the rest and are in need of a creative push to reach their goals.